June 28, 2017 June 28, 2017 LauraLeave a Comment on Spinspiration: Hummingbird. The Fiber: Blue Faced Leicester in Hummingbird via Hello Yarn. The Infuser: Hummingbird Tea Infuser via Amazon. The Mug: Mint Green Bird Cage via GilliattCeramics. 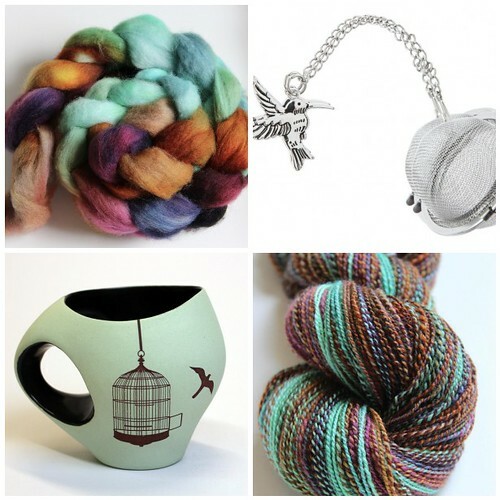 The Yarn: Hummingbird via The Corner of Knit & Tea. Previous The Corner of Knit & Tea: Episode 142, Prepping for TDF.